Gekås’ most recent project is with Hand in Hand, which helps people lift themselves out of poverty by starting their own business. The project, in the Indian village of Pannala, is aimed primarily at women, who are given training, access to a microloan and assistance with starting their own business. 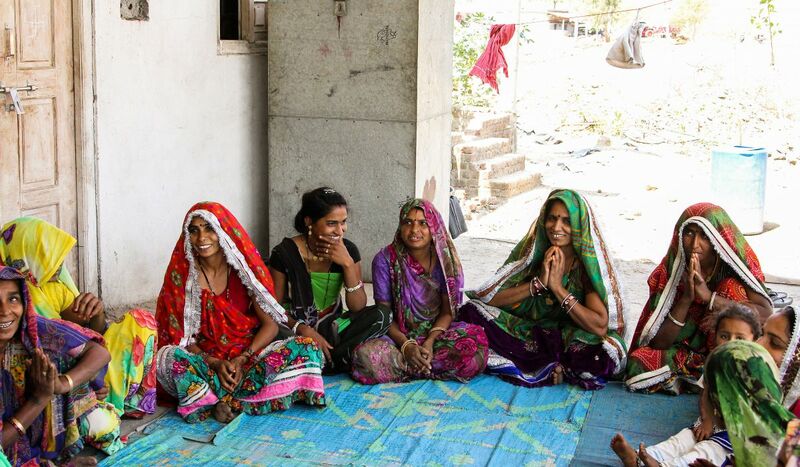 Gekås is funding a project in the Indian village of Pannala, which gives people training, access to a microloan and help with setting up their own business. The project is aimed primarily at women. The village of Pannala is in the state of Madhya Pradesh in central India. The nearest major city is Indore. Pannala has around 1,600 inhabitants and agriculture is the main source of employment. Poverty is rife because there aren’t many jobs and many children don’t go to school because they have to help look after the family. Over the two years that Gekås will fund this major change initiative, a great deal will happen. Some 200 women will be trained in self-help groups. They will learn to read, write and count, and will then be trained in entrepreneurship and how to run a small business. Once they have been trained and given access to a microloan, more than 100 small family businesses will be started, providing a new source of income for the family. All children will be given a place in the school, the school’s buildings will be refurbished and more teachers will be employed. Children who start school late will attend a “transit school” initially so they can catch up before they start mainstream schooling. There will also be major hygiene, health and veterinary initiatives. And a special environmental initiative that focuses on waste management, water purification and biogas will be launched. A community centre will also be built where villagers can access the Internet and community information. In two years’ time, when the project is complete, the whole village will have been lifted out of extreme poverty into a new future of hope, dignity and choices. So far, Hand in Hand has created 1.7 million businesses that have provided jobs and income for 2.4 million poor people in India and Africa. That means that more than 10 million people have been taken out of extreme poverty and hundreds of thousands of children have gone from work into school. Hand in Hand also runs major initiatives in the field of healthcare, energy, the environment and water.